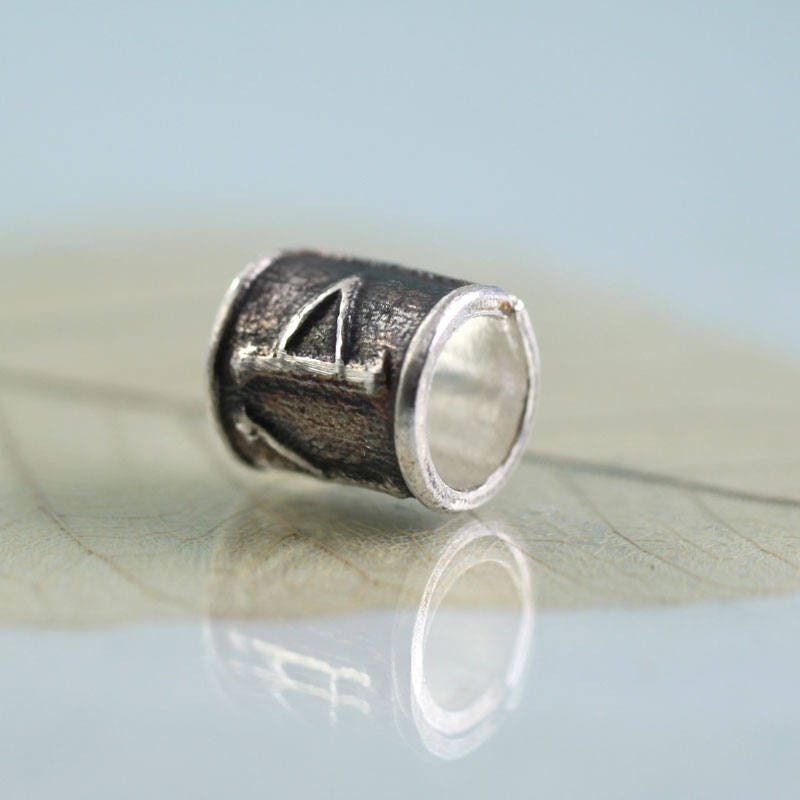 Choose your own 3 runes on this little tube bead in fine silver. 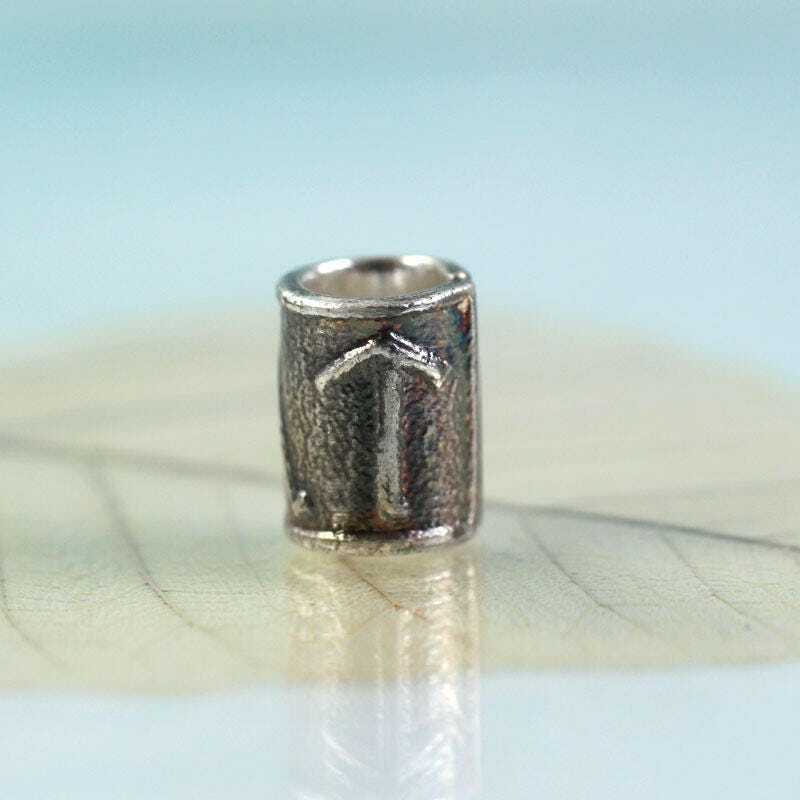 This little charm bead can be used as a beard bead, a hair bead or threaded on a leather necklace or charm bracelet. 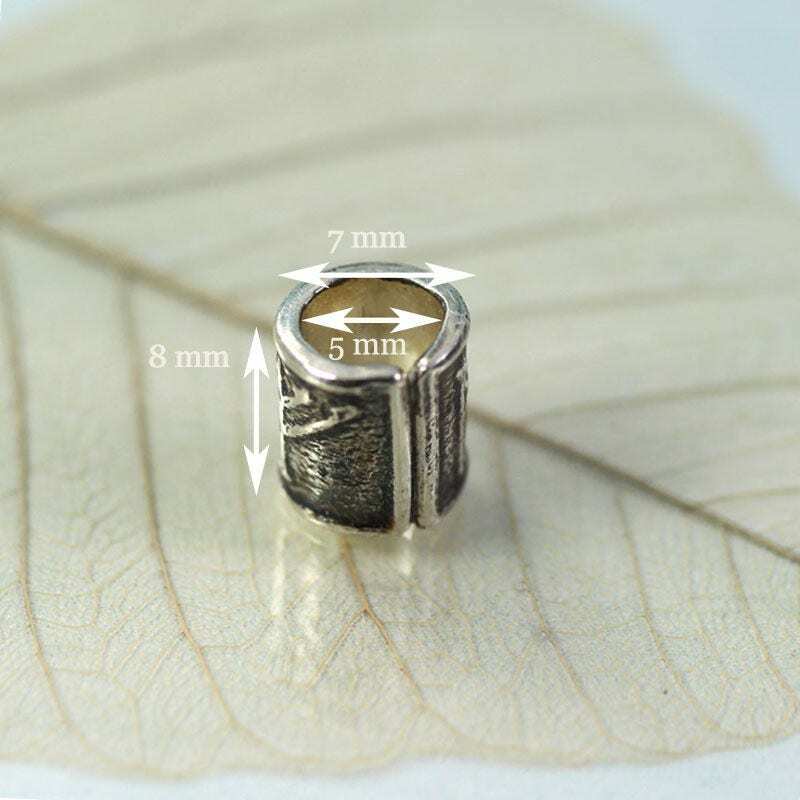 It is made from recycled fine silver. 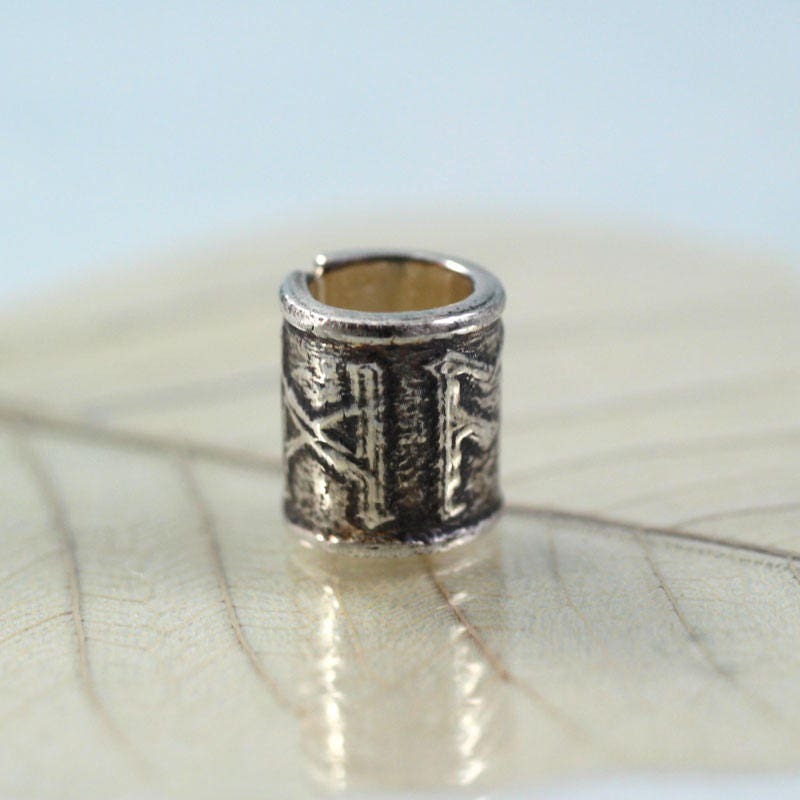 The bead is patinaed to give a dark background and let the runes stand out, but if you prefer bright white silver just let me know and I will leave it so. 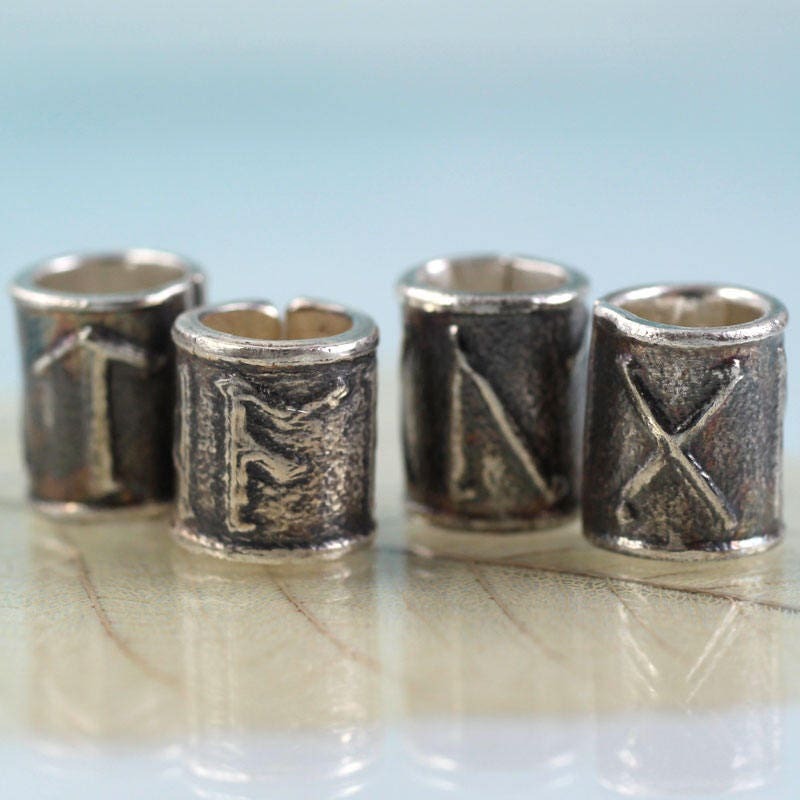 You can select 3 Viking runes for luck or a personal specific meaning. 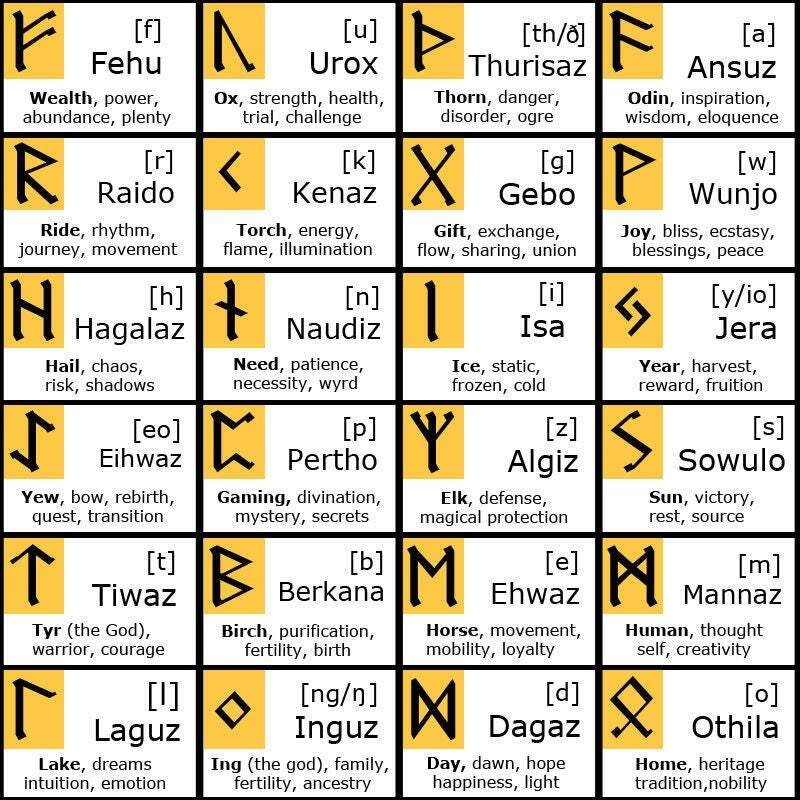 Have a look at the diagram image to see the Elder Futhark alphabet and what the runes traditionally stand for. 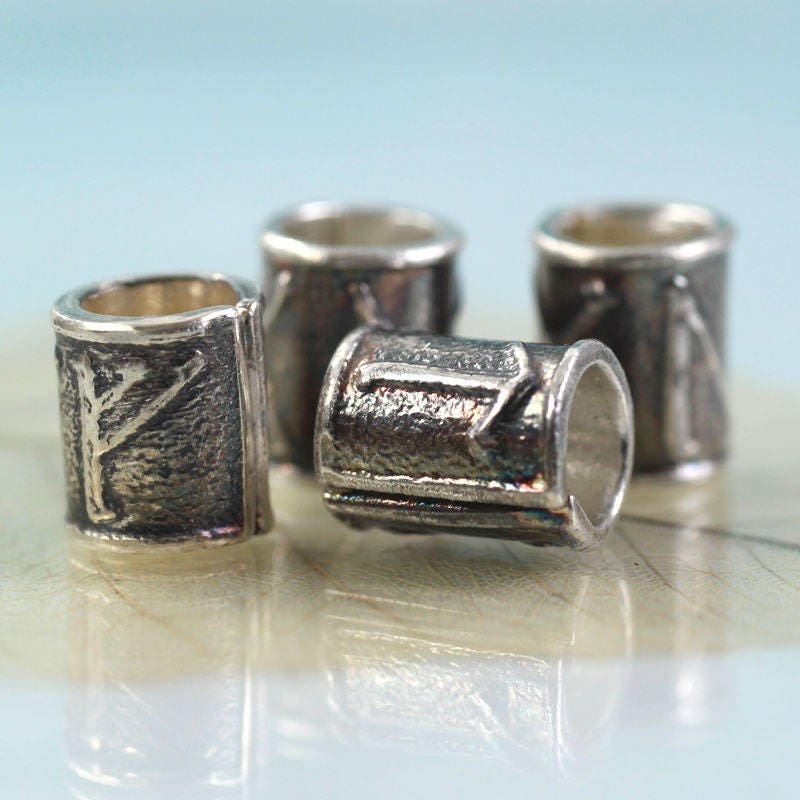 Or spell a little word - Luv, Joy, Now or Dad - Let me know in the note to seller and I will send you a preview before I make the bead. 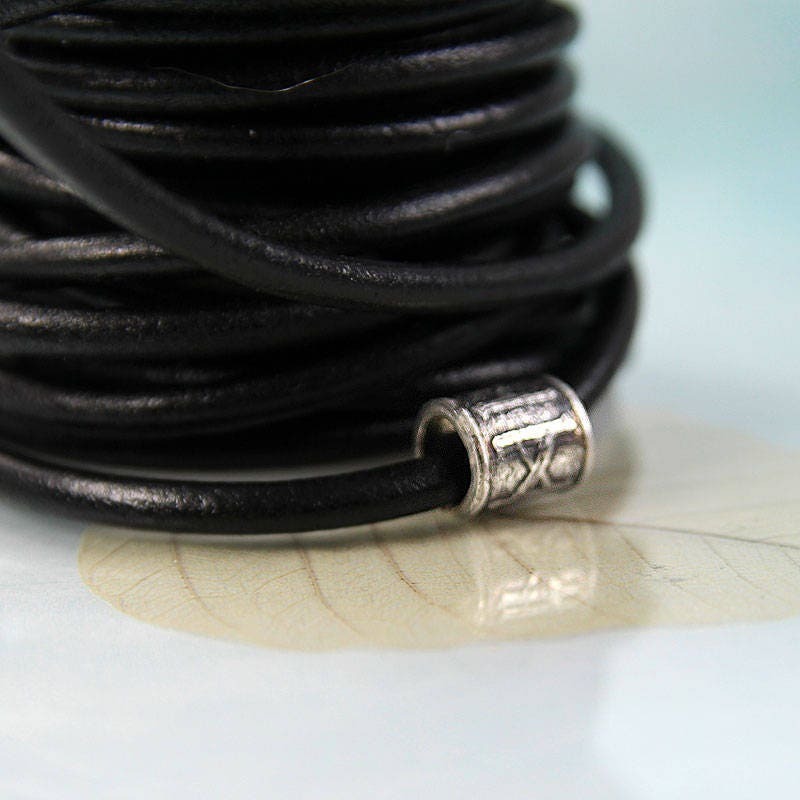 Will arrive in a little gift box ready for giving. 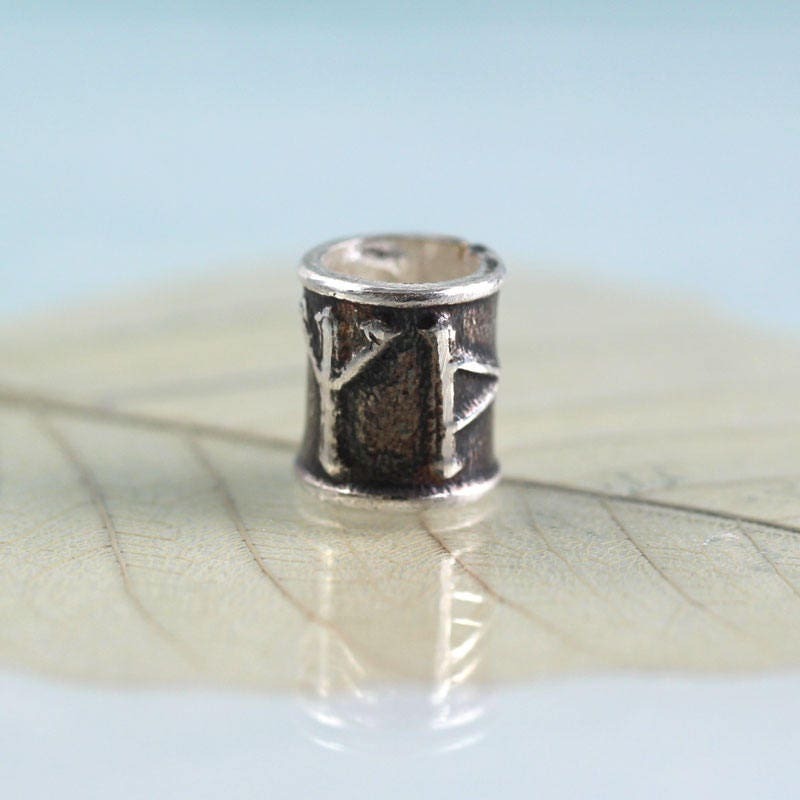 I also make custom rune rings and ear cuffs. Excellent crafting and great communication! Thank you for a great product! 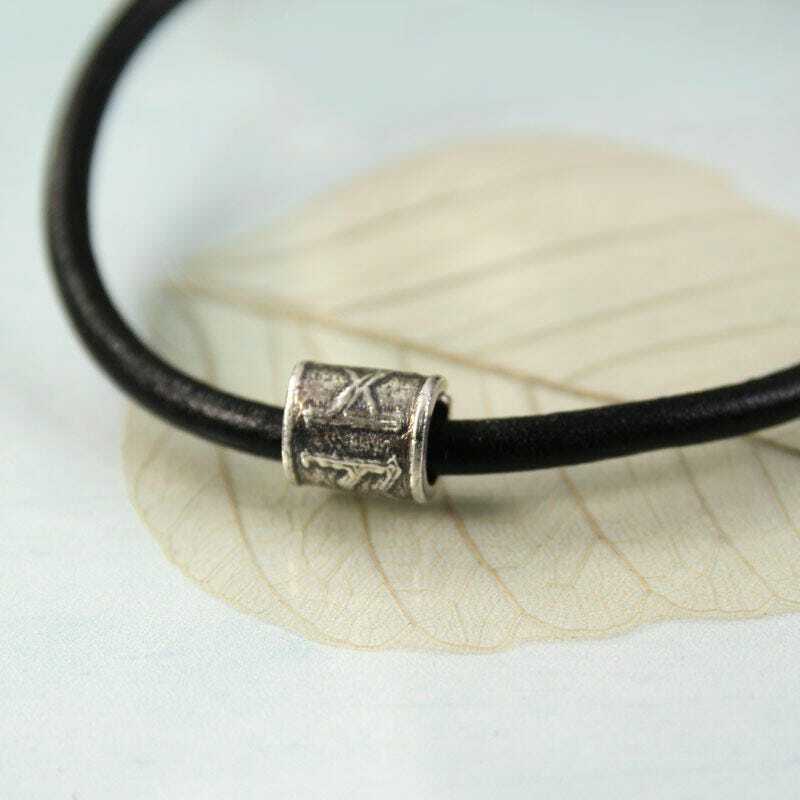 My husband is wearing it every day.